I have to confess, I am a planner addict. I love organizing and planning. 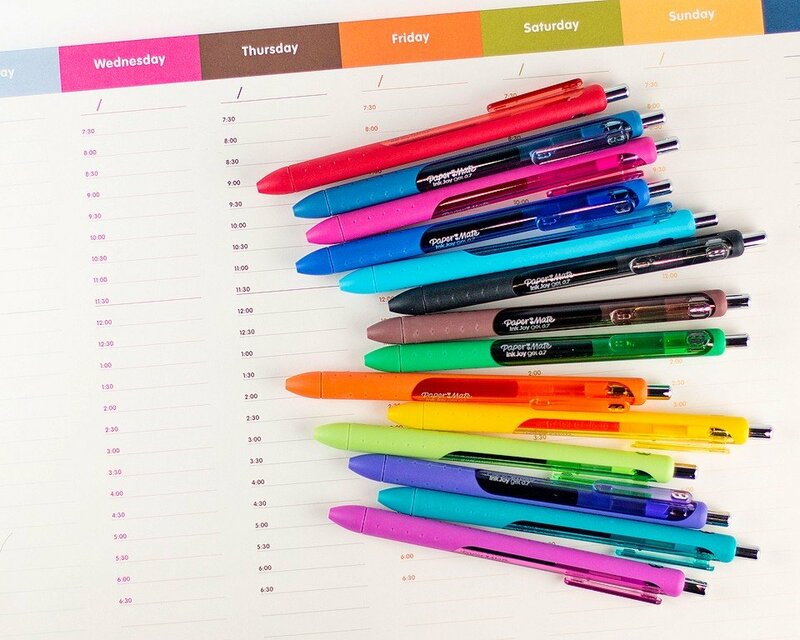 ❤ As with most planner addicts, I am also a pen fanatic. You can’t plan without the right pen. Am I right? 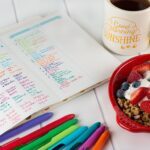 Today I want to share how I color code my planner to stay organized. 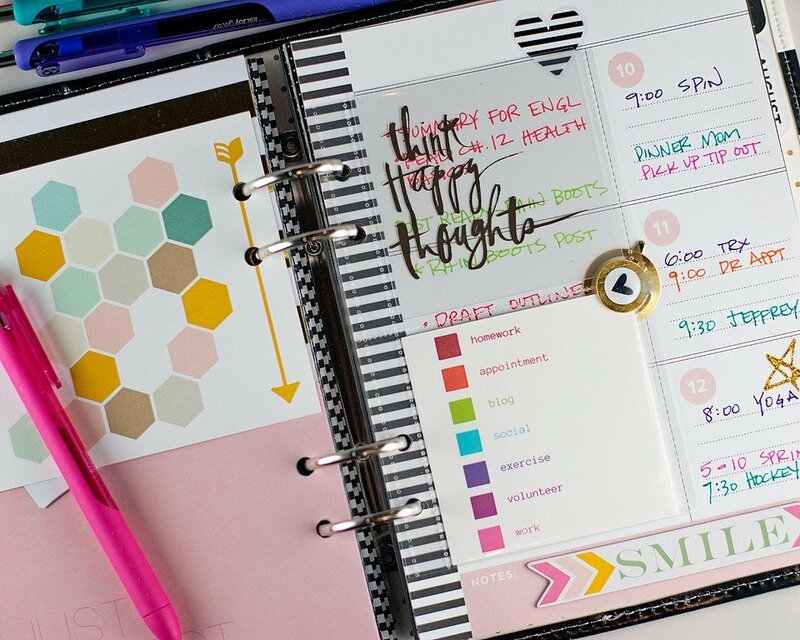 There is no right or wrong way to use your planner to stay organized. 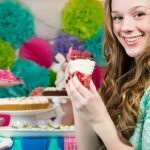 You need to find a system that works for you! 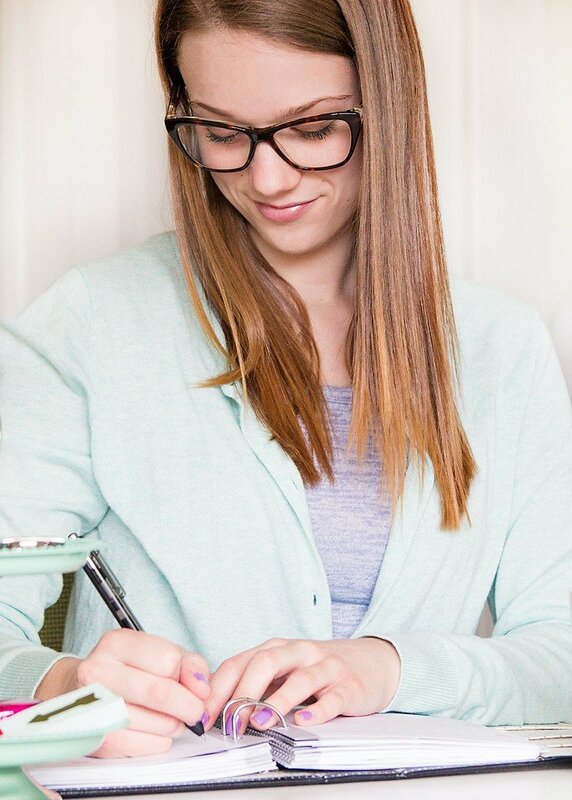 I use Paper Mate® InkJoy ® Gel pens because they bring joy to staying organized with their wide array of colors, smooth writing, and no smearing. ❤ What’s not to love about that! Hobbies? Organizing my agenda. Wait, that doesn’t sound fun…jammin’ on my planner! – Leslie Knope. 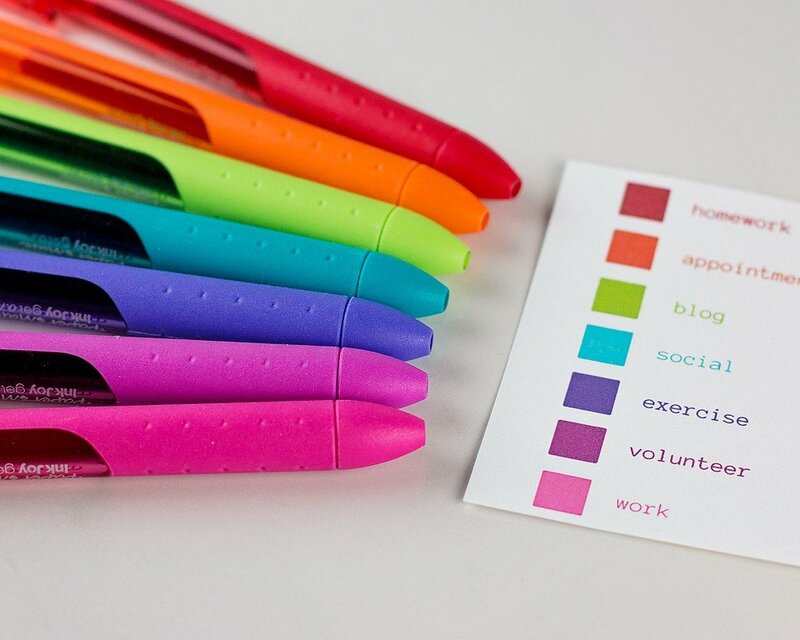 One way to color code your planner is to use a different color of ink for each category. 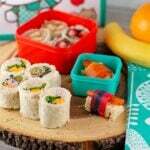 For instance, you can have red as homework, orange for appointments, etc. This color coding system allows you to see at a glance what is happening each day. In my planner I created a color key that I keep in a plastic sleeve. Since I use a ringed planner, I can move the key from week to week. If you don’t have a ringed binder, try making a color code key on a bookmark instead. I keep my pens in a pencil case that I carry with me, along with my planner. That way I always have when I need on hand. You could also use a pouch in your planner, too. There is something satisfying about organizing your life. I am a lot calmer knowing that I have things under control. My planner color coding is not an earth-shattering concept. 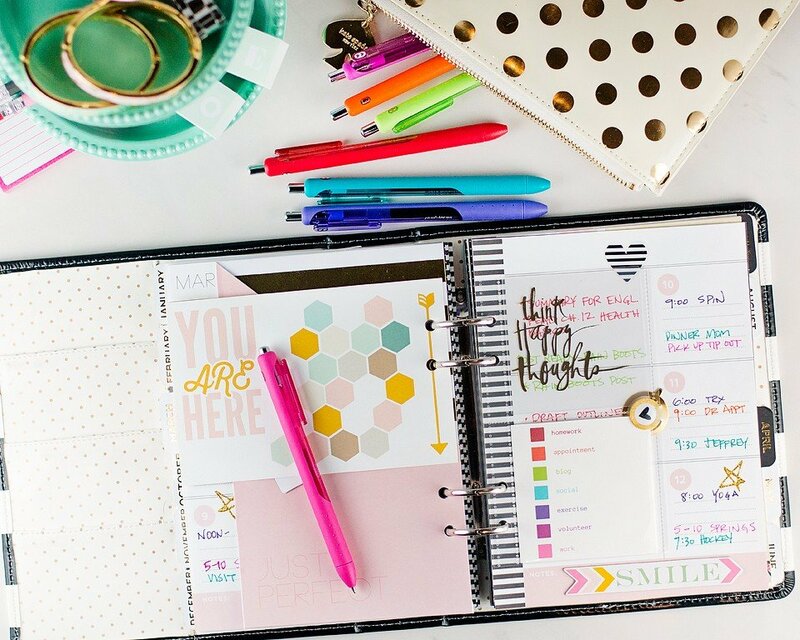 However, it is fun, it makes your planner so pretty and most of all – it works for me! 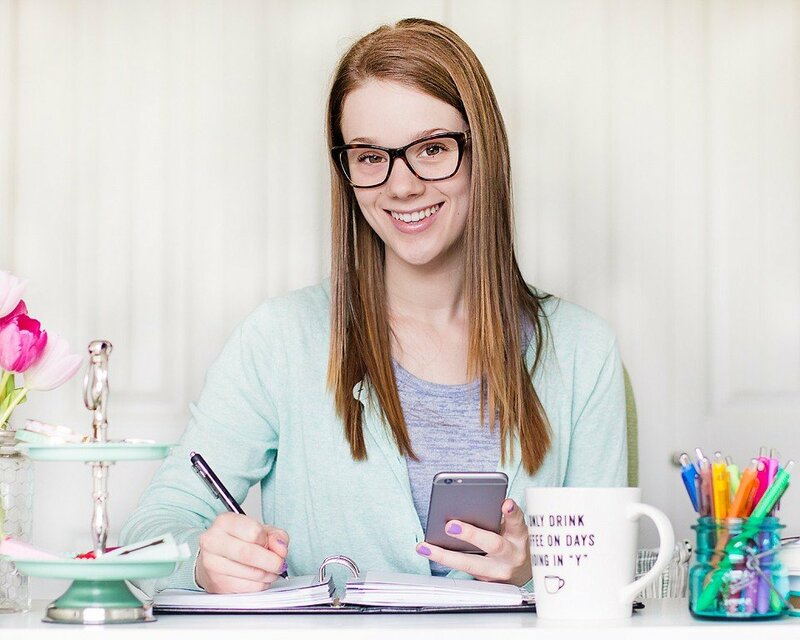 Finding a way to stay organized and in control is a way to make your days just a little less stressful. Some people like to cross off tasks as they do them, but I just check beside the task with a black pen. If something is really important, I will sometimes highlight it. I also like to add stickers, photos and mementos to my planner. Once again, that is a personal decision. 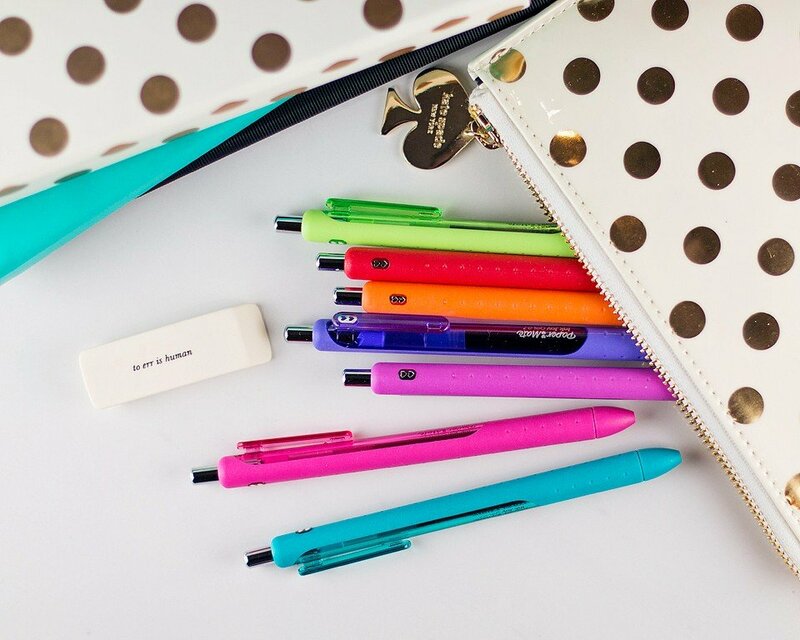 You will love how Paper Mate® InkJoy ® Gel pens brighten up your day. 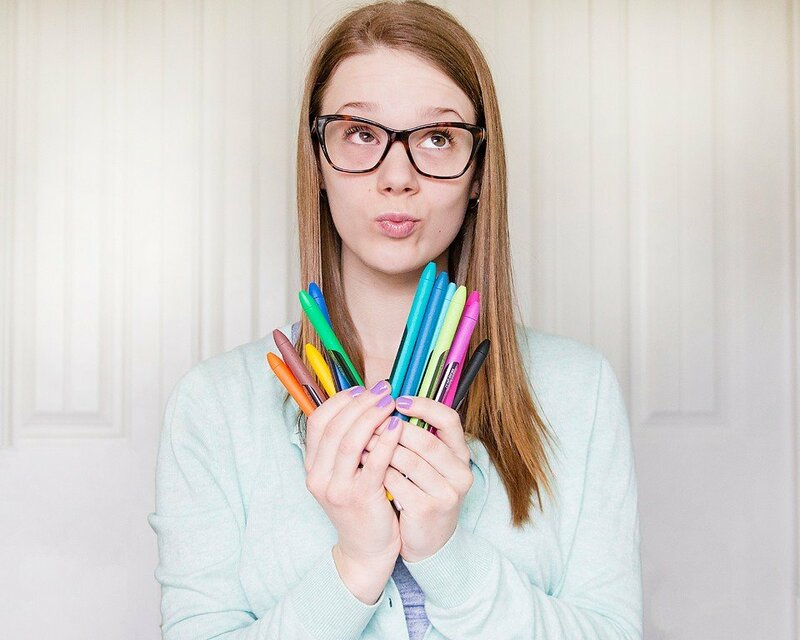 They are my favorite colorful pens which seem to be designed to spread joy through writing. 🙂 Be sure to check out InkJoy Gel on Facebook and Twitter.